The morning air smelled like salt and coffee beans, and the call of the ocean was deafening. There had been a storm last night. The whole sky had exploded with colour. Not just the white light of an old-fashioned lightning storm, but the greens and purples of a chemical catastrophe. Even this morning, the clouds were still stained with colour... The year is 2048 and the environment is in big trouble. One person realises that even the smallest of actions can have dangerous consequences. 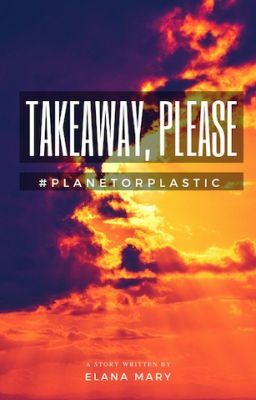 This is my 500 words entry for the National Geographic's #PlanetOrPlastic competition.